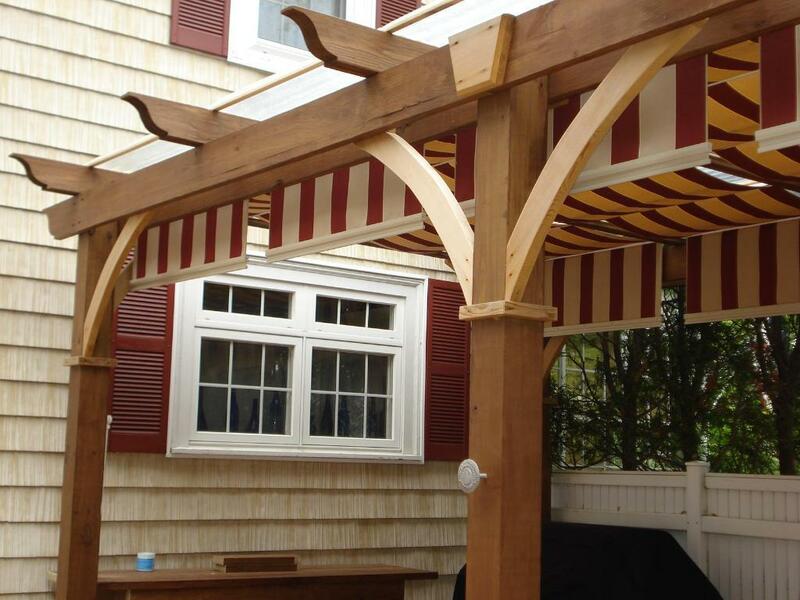 So whether you have ideas of your own or you’re looking for guidance, here are inspirational designs to get you started when it comes to adding a pergola to your backyard. A little sunshine is good for the mind, body and spirit. But at some point, everyone is ready to seek-out a respite from the heat. 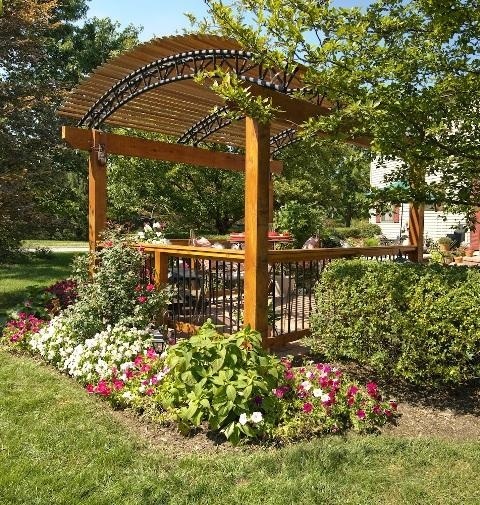 A backyard shade structure provides an open and airy gathering spot to escape direct sun without heading indoors. 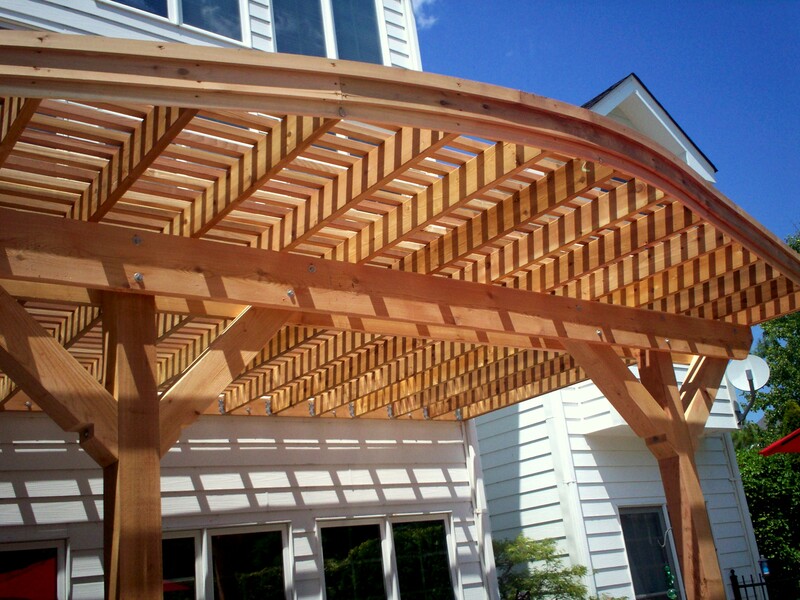 Perfect for a pool, a shade pergola invites swimmers and onlookers to dry-off and gather nearby. 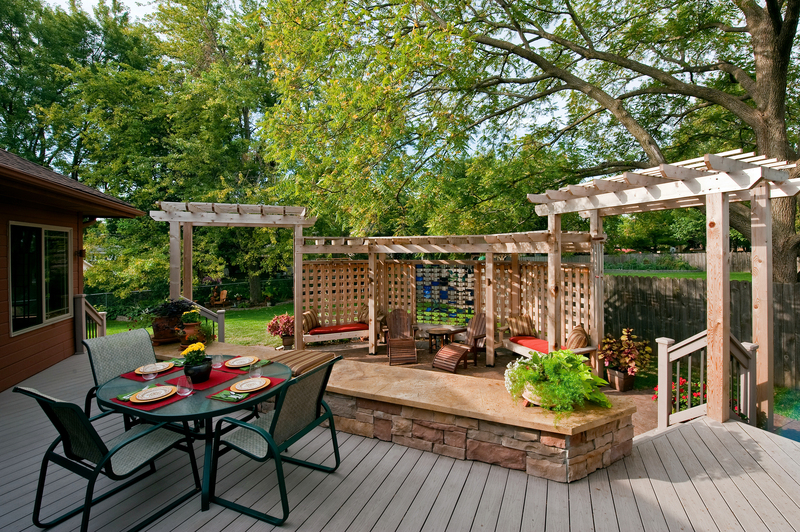 Or how about a grilling station or outdoor kitchen? The chef needs some shade too. 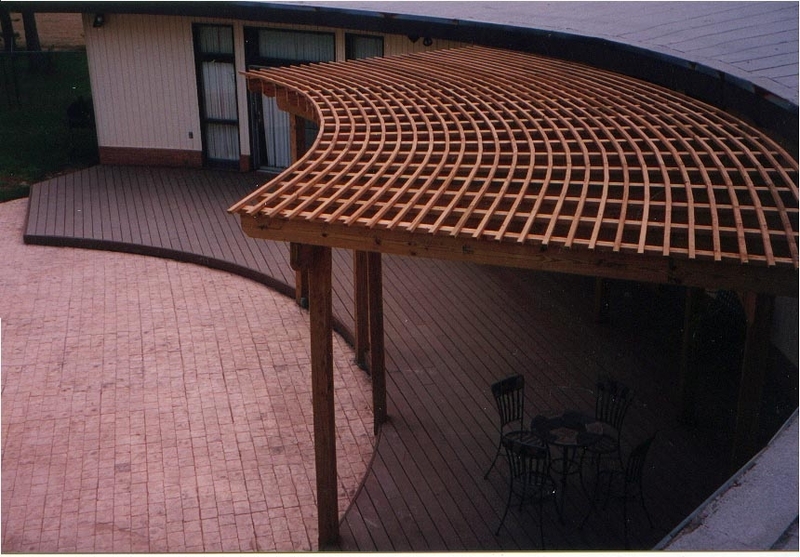 And for the ultimate in backyard shade, did you know you can add extra shade features to a pergola? For an all-natural sun-blocker, use hanging plants or creeping vines; however, this type of bonus protection lasts only while the plants are growing. 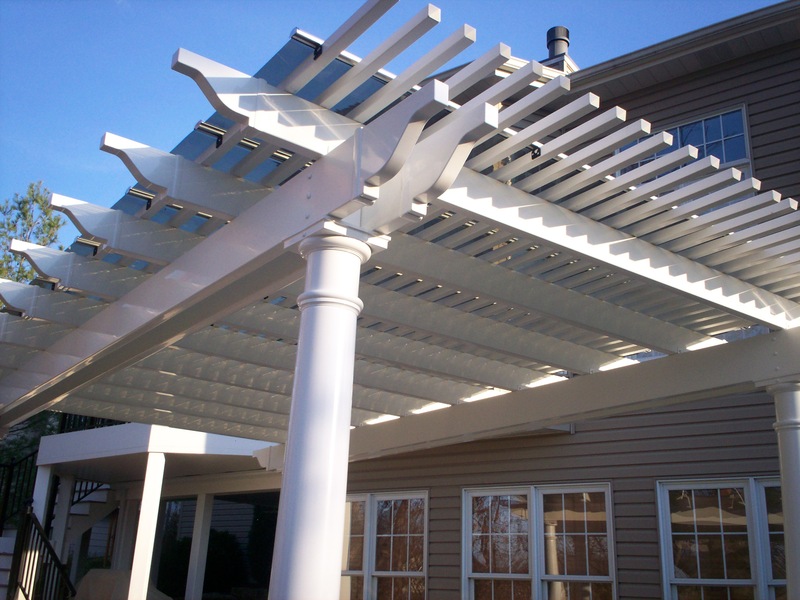 A more permanent method is to use a cloth canopy, louvered slats, decorative metal sheets or a solar panel to ‘top off’ your pergola plans. Each strategy not only adds shade, it will add a whole new look too — dimension, color and texture! 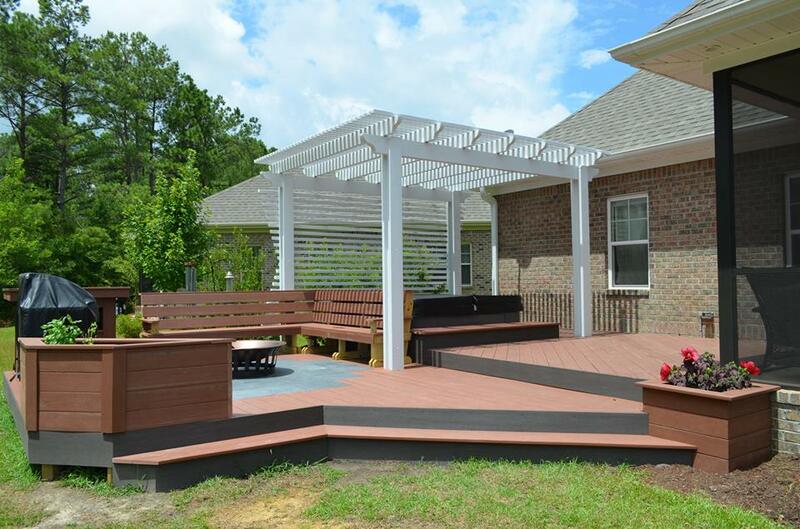 Do you have a beautiful flower garden, an existing patio or are you building a brand new deck? 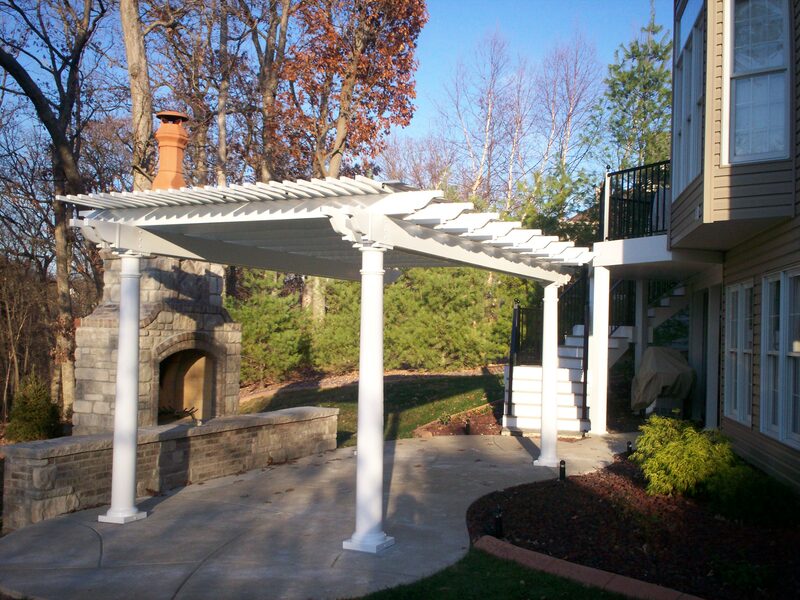 A pergola can be an excellent extension for defining the areas outside of your home as an outdoor room. 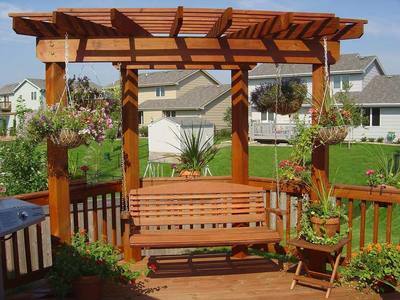 A slight variation of a square or rectangle is a triangular structure, often called a fan pergola. These can be ideal for small spaces or used to frame-out a corner. Oh, it’s a perfect place to add a swing too! Or how about curvatures? Curving inward? Curving outward? What’s your fancy? 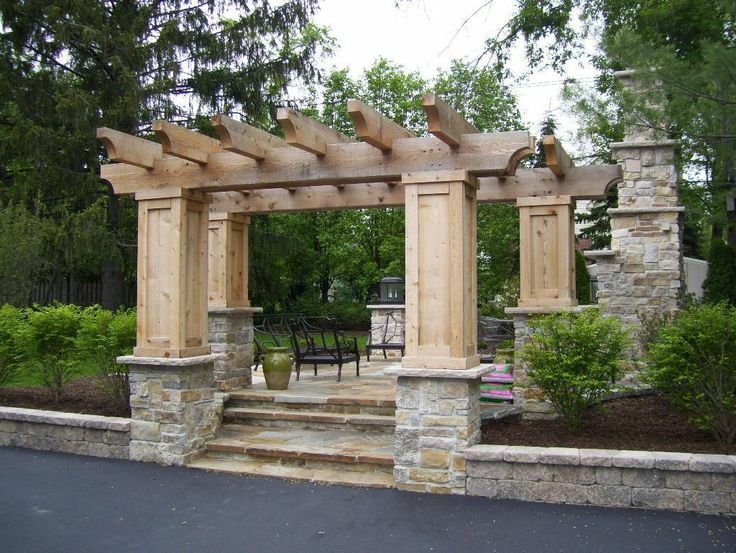 If, however, you prefer a masculine look for your outdoor space, consider a pergola with multiple tiers, heavy columns or stonework. And one more thing. 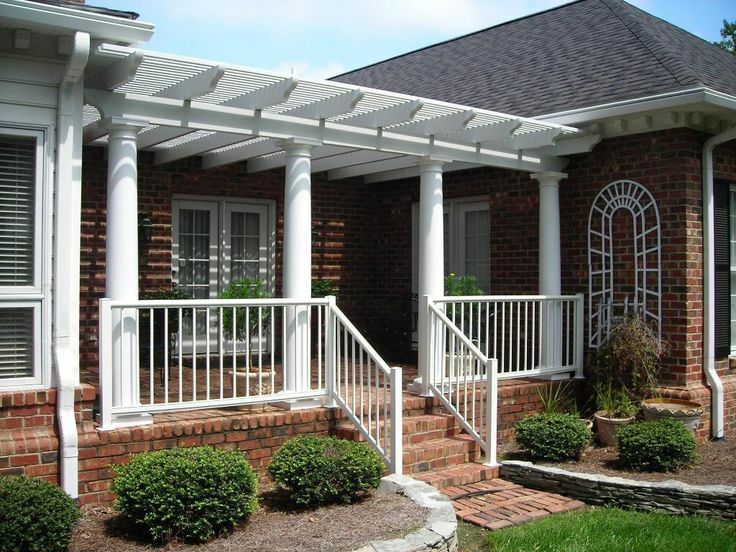 Did you know that a pergola can enhance an entryway and your front yard too? Take a look. 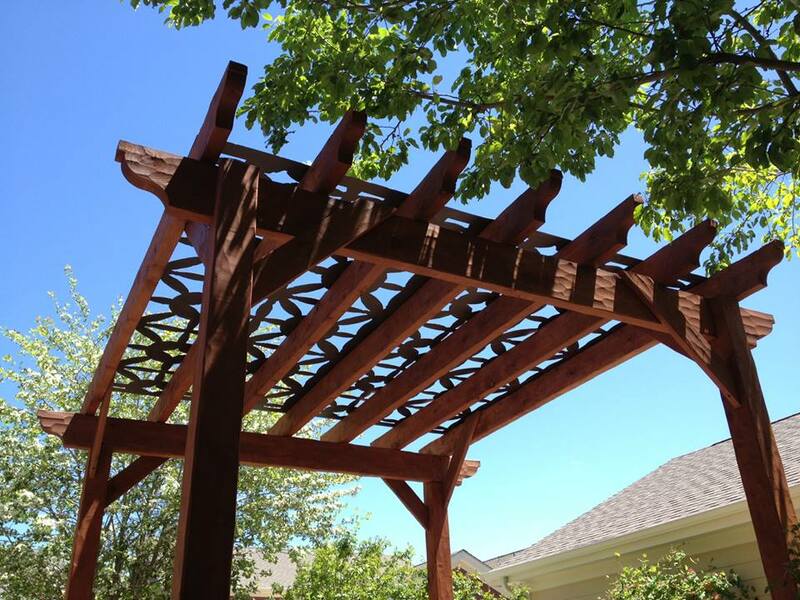 Small, medium or large and designed in any shape or built from most any material, a backyard pergola can be loaded with style and function. 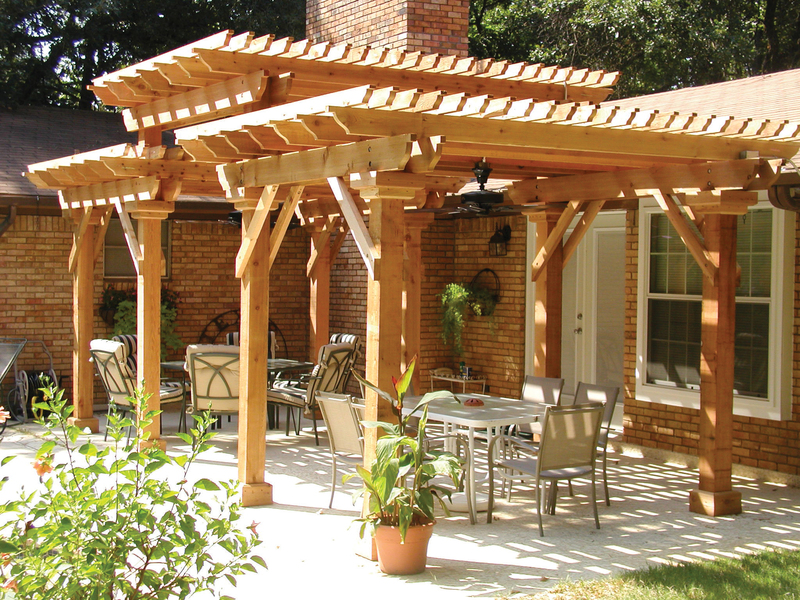 As a versatile structure, the pergola is a must-have feature to complement a garden, patio or deck. And will it add value to your home? You bet! 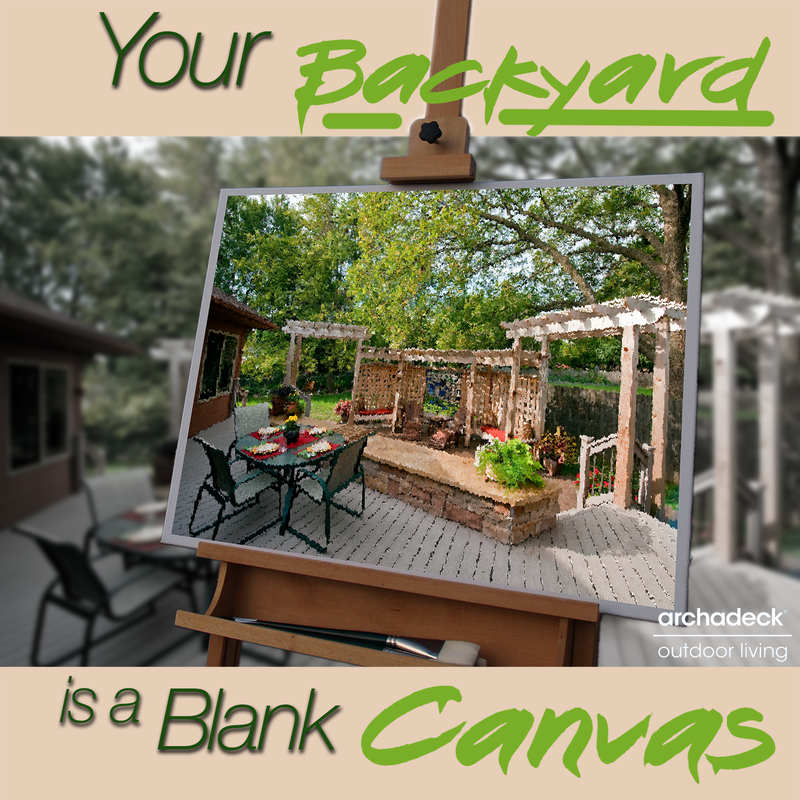 Dream big because your backyard IS a blank canvas! 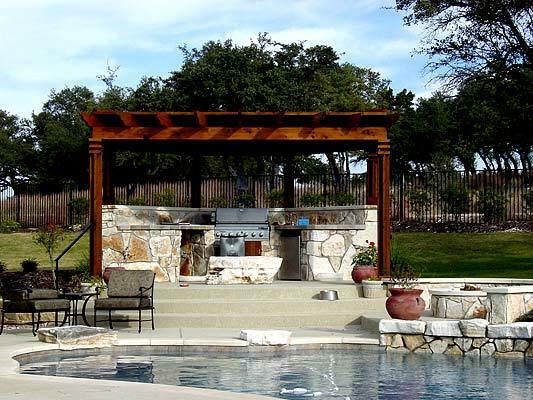 For more outdoor living inspiration you can simply visit our website, west-county.archadeck.com to find picture galleries and an easy-to-submit online inquiry form — How Can We Help?. For daily updates, simply join us on Pinterest, Google+ and Houzz. And then, when you’re ready to talk to a St. Louis deck builder, please consider Archadeck. We’re locally owned and operated with offices in St. Louis West County – Ellisville. Please call us anytime – 636-227-0800. Graphic design for ‘Your Backyard Is A Blank Canvas’ by Matthew Victor. (You may contact Matt by email at mtvictor00@gmail.com.) Matt has earned a Bachelor’s degree in Information Systems from the University of Missouri – St. Louis and is currently completing a second degree in graphic design. « Are Wood Decks Becoming Obsolete?